In addition, your 2019 Canada One-Ounce Silver Incuse Maple Leaf has been graded by the Numismatic Guaranty Corporation (NGC) as being in near-perfect Mint State-69 (MS69) condition, a distinction that means your almost-flawless coin will showcase an impressive full strike and indistinguishable imperfections – well above and beyond the quality of the vast majority of coins in the series. 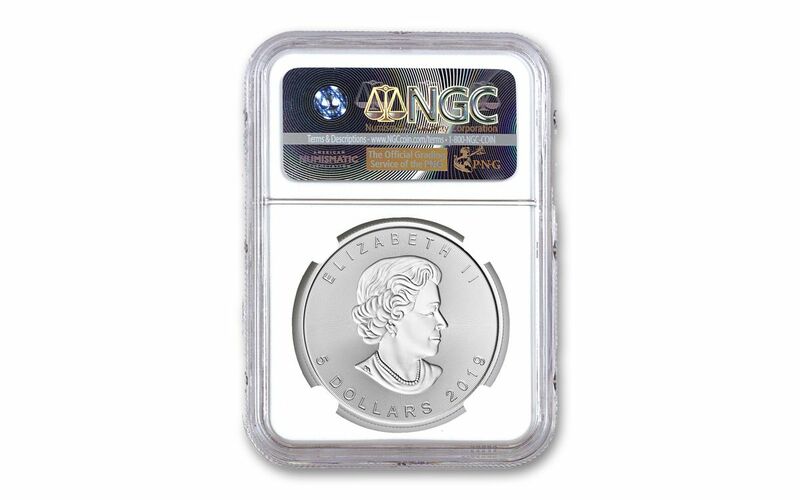 Plus, NGC has certified your Silver Incuse Maple Leaf to be a First Releases (FR) coin, a designation that means your coin was received by NGC or an NGC-approved depository within the first 30 days of the coin’s release! 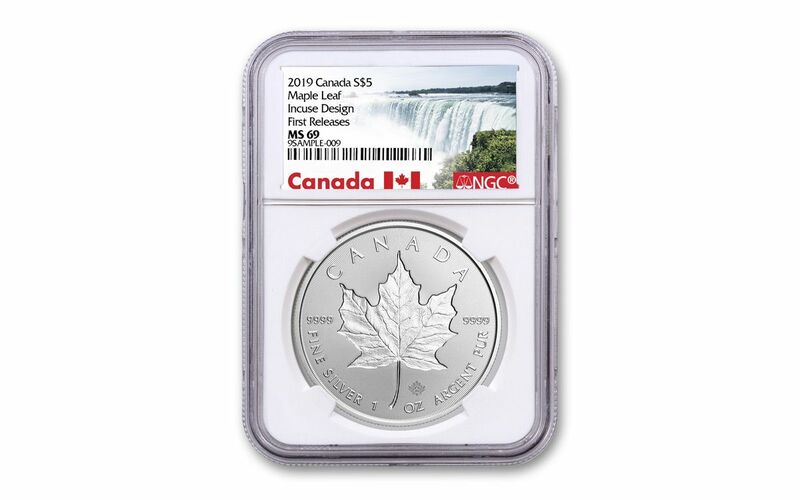 GRADED IN IN NEAR-PERFECT UNCIRCULATED CONDITION – Your 2019 Canada One-Ounce Silver Incuse Maple Leaf has been graded by the Numismatic Guaranty Corporation (NGC) as being in near-perfect Mint State-69 (MS69) condition, a distinction that means your almost-flawless coin will showcase an impressive full strike and indistinguishable imperfections – well above and beyond the quality of the vast majority of coins in the series. KEY FIRST RELEASES CERTIFICATION – NGC has certified your Silver Incuse Maple Leaf to be a First Releases (FR) coin, a designation that means your coin was received by NGC or an NGC-approved depository within the first 30 days of the coin’s release.